What we're going to do today is discuss the differences between blending and juicing,specifically for weight loss but this applies, you know, to the main differences and I'm going to go over the pros and cons of each one and show you guys what each machine does. Now, some people confuse blending and juicing or smoothies and they use the terms interchangeably. Nothing could be further form the truth. They're totally different, although you can use your blender to juice. If you use another thing to strain it out and you could also use your juicer like a blender to basically mix the juice and pulp together to make a blended or mushed up mashed up mixture. So, each of these machines in my opinion have their benefits and if you're going for the weight loss, what I recommend over all else is, eat the foods that are going to best benefit your body, and those are the nutrient dense foods. The nutrient dense foods are the foods that you're seeing on the table here. Fruits and vegetables. Today we have some arugula, some oranges, and some cucumbers. So, these are the foods we want to include and you want to get away from the junk food,the fast food, the McDonalds, eating out of restaurants. You want to eat as much fruit, fresh fruits and vegetables, as possible, whether you're doing it in a juicer, whether you're doing it in a blender. No matter what, in my opinion, as long as you move your diet in the right direction and eat more fruits and vegetables, you're going to be more better off than the person that doesn't. So, if that means you got to blend and not juice because you got a $25 blender form Wal-Mart and that gets more fruits and vegetables in you, that's fine. If you got a juicer, I think that's even better. In any case, let's go over the differences between them and I'm actually going to produce juice and a smoothie in the blender in each one while I go over the pros and cons. So, I already explained actually what I got and the first we're going to do is prepare the produce. We can throw in our baby arugula into the juicer as is. We can also throw the cucumber in too, both as is. The oranges, you know, you can't put the whole things through the machine,but that being said, the orange coloring on the skin has some non-digestible chemicals that taste bad and will also give you gas, bloating, and belching. So, if you don't want that I highly encourage you guys to cut off the orange coloring. I'm actually going to do that first using a little knife here, and were just going to go ahead and cut off that orange coloring, and we're going to leave all that white pith. The white pith is where most of the goodness is, and where the nutrients are actually contained in the orange but how many people actually peel their orange and eat only the inside and not the white pith? So, doing it and cutting your orange this way, you're going to preserve and get the most nutrition in your juice or your smoothie. So, as I cut this off, what I want to talk to you about is first the machines that we're using. So, first, today what we're using is an Omega Vert juicer. This is a slow speed juicer. It runs at 80 RPM and that's a slow speed, and because it's slow it's going to be quiet and it's going to preserve the most nutrition in the juice. Some juicers run up to 10000, 11000 RPM and that's a lot faster,and they tend to oxidize juice more. Let's go ahead and flip over to the blender now. 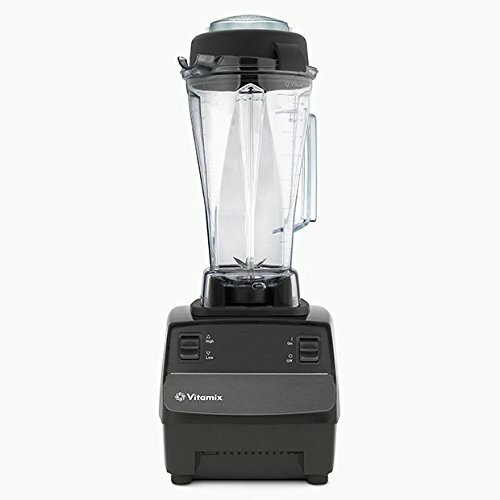 So, the blender that we're using today is the VitaMix Turbo Blend VS, and this is the one that I recommend if you want to get a really good blender. You know, all blenders are not created equal. All blenders will blend up basically a liquid,but the VitaMix will do it all together, definitely because it runs at such high RPMs. 27000 RPM. That's magnitudes faster than the 80 RPM juicer, and it has fairly sharp blades to literally fractionate and cut up and micronize all the ingredients that you put inside of it. If you use a standard blender from, say, Wal-Mart, that's not running so fast and the blades aren't so sharp, it tends to leave large chunks and when you leave large chunks in whatever you're drinking, you're not going to get optimal digestion out of it. These are 2 appliances that I recommend for juicing or blending, but they will process a wide variety of things,although there are specialized varieties of juicers if you want to juice certain items. So there are big differences between store-bought blenders and the heavy-duty commercial blender for people that really are into and what to get the maximum nutrition out of the food. On the juicer side, same thing. You can buy an inexpensive juicer but they're not going to work the same. Most inexpensive juicers are actually called centripetal ejection style juicers, and those are the ones that run at high speeds and they oxidize your food more,and I don't know about you but I'm eating for the nutrition, not just for the mouthfeel, not just for the texture, although that's definitely important, too. I want to get the most nutrition out of my food, because, you know, in the end you are what you eat and absorb, and I want the healthiest foods in my body so that I can be as healthy as possible, and to do that, we need to have the right tools, and that's why I prefer both of these machines. We're just going to go ahead and cut the peel off this guy and then we'll be back at you to discuss the pros and cons of both blending and juicing, 'cause there's no one that is clearly the winner, and which one is truly the best. Now we're ready to start using the appliances and share with you guys the pros and cons in each of them. So, let's first start with the juicer. The juicer is really easy to use and runs at the slowest speed and is relatively quiet. We got to go ahead and cut the orange up a little bit smaller so that they will fit into the feed chute of the machine. Now we're going to turn the machine on and start juicing. Now, one of the pros of juicing is that you can actually fit more produce or get more produce in you. For example, we're putting 5 ounces of baby arugula, but in some juice I'll out literally 1 whole pound of leafy greens into the juice, and that'll literally turn into about 1, 1 ¼ cups of fresh vegetables juice, so that way you can get al lot more of the nutrition, except the fiber. Let's go ahead and put some of the arugula into the juicer here. 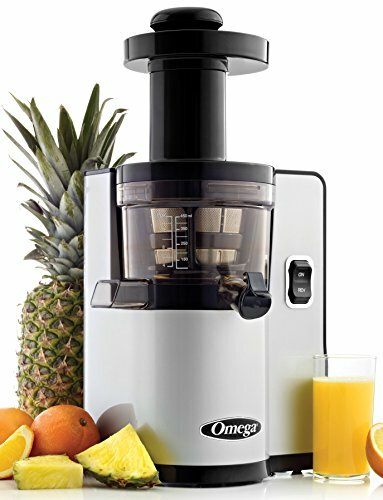 What the juicer literally does, it compresses down and squeezes with the omega action on the juicer to extract the rich nutrition form the juice that's contained within the water. Now, it removes all the fiber, so for some that may be a benefit. I believe it is a benefit because, you know,our bodies are nothing more or less than a juice extractor. We put stuff in our mouths,we're supposed to chew it really well into a mush and then swallow it, and then guess what? Our body can only absorb nutrition that's in a liquid state with the little philis that's inside our intestines. So, if something not in a liquid state or broken down finely enough it's just going to go right through us and not get absorbed. That's where the juicer comes in. It's going to literally turn the food into that liquid and the fiber, and think about it. When we eat something, out one side of us comes the liquid, and out the other side comes out fiber, so both are fairly important. 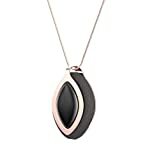 Let's go ahead and put an orange in there. So, the first thing is more quantity. You could literally choose to pack a pound or maybe even 2 pounds of leafy greens, which is the most nutrient-dense foods on the planet,so that you can get more nutrition in you. Another thing that's important with the juicer, because it is removing the fiber, and that's what our bodies should be doing if working properly, is that you may get better digestion. Especially after years and years of maybe not eating the right stuff, peoples digestive systems are not working properly, and if something is in the liquid state it's most likely to be digested and digested the easiest. Another thing about juicing is that it's actually one of the best ways to get an instant sho of energy. Some people say that within 30 minutes of juicing and drinking the juice,you're going to absorb the nutrition in the juice. Another benefit of juicing is that it's actually fairly quiet. I mean, I'm talking here over the juicer and it's running fine,and it's not hat loud. So, say you've got to prepare your juice or smoothie in the morning,you know, the juicer won't wake up the other family members in your family. As you can see, we're almost done juicing this baby arugula here. It's doing very well. We've got a whole bunch of juice and all the fibers coming out over here. I mean, this is the hard indigestible fiber and this stuff's actually fairly dry. Go ahead and put some more orange in there. So, one of the things I like about the low speed juicer is it's more similar to our teeth. I mean, if we were to have to just use our teeth to chew all this up, then we could be a juicer. We could literally squeeze all the juice out with our teeth at low RPM or running really slow, and just spit all the pulp out. Normally you just swallow it and you let our bodies separate the liquid from the pulp. So, it runs at a slow speed, and I like that a lot because it's more similar to our body. With the blender, it runs at a high speeds,which, you know, not as close to what our body does. That being said, we are separating the pulp out form the juice here. If we wanted to have the pulp in, you could actually just take this pulp and mix it in your juice and stir it all up if that's what you desire,then you're going to get the pulp and everything at a low speeds so it's not going to degrade the nutrition as much. So, another big pro for juicing, in my opinion, is that places like the Garson Therapy, and you guys have heard of that, they use juicing to potentially heal people from their ailments. So, people with cancer will go to Garson Therapy, do the GarsonTherapy in Mexico, and they just literally drink juice to get these people better from incurable diseases in the body. So, I don't know anybody that's doing that with the blended smoothies. Most of the places that really heal people focus on the juice because you get all the nutrition out in the easiest way to absorb. I guess a few cons for juicing is that, number 1, it removes the fiber. Yes, we need fibers in our body to keep us clean on the inside, although there is some fiber in this juice, especially if you use the Omega Verde. It makes some of the pulpous juices, which you can filter out or you can leave in. Another con of juicing, as you can see, we used all this produce, and we got a whole bunch of juice and we also got a whole lot of pulp. So, you know, you can burn through a lot of produce very quickly and a lot of it's going to be in the pulp, so I recommend you get a good quality juicer that's going to make a fairly dry pulp, like the Omega Verde does. Finally the other con if juicing is that it can make more time. As you saw,it can take some time to prepare the produce, and to put it in took some time, and now cleaning this juicer will take some time as well. This juicer takes me about 3 minutes to clean,and it's one of the most easiest to clean juicers that I know of. That sums up the pros and cons of juicing. Next let's go over to the blender and talk more about the blending and why it may be better than juicing but also why it may not be. What we're doing is first we're going to put everything in the blender. So, you know, if we put the whole orange in there and turn the machine on, it may kind of blend it up, but t's not really going to do it all the way, so what's better than that is that we need to cut this into small pieces so that the blender can actually pulverize all of it. So, I actually recommend when putting things into the blender to do it in the proper order. So, its best, when you fill up your bender, don't add water, which is actually in my opinion a con of blending because you're diluting the nutritious foods, I like to only use the fresh fruits and vegetables in my blended or smoothie mixes. So, I don't like to add water. Many people may have to add water to make their blender work properly if it's not a high power blender. So, that's just going to dilute the nutrition that you could be getting out of the food. So, you can see here that we just chopped all the oranges in to little small pieces and this way the blender is going to be able to be more effective and blend this stuff up. The next we're going to do is we're going to go ahead and chop up the cucumbers into little pieces so the blender can blend this up as well, and yes, you can put in the seeds in the blender. It will pulverize those as long as you have a high power blender. Now, if you don't have a high power blender, that seed may come out whole, you know, when you're drinking your blended mixture or your smoothie. Once I get all the varied liquid items into the blender, I like to turn the blender on, and that bends it right up. The next thing I do after I have the liquid is I'll finally add the greens at the end. So, once again, we've got 5 ounces of baby arugula greens here. I like arugula because it's in the brassica family. The brassica family plants have shown that they may contain things like cancer fighter. They have a lot of phytonutrients and phytochemicals that can be very healthy to eat. You know, once of my focuses on eating a healthy diet is focusing on fruits and vegetables that have the most nutrient in them and have the least amount of calories, and this way, you know, if you're eating low calories but high nutrition, you're feeding your body everything it needs. Most Americans are eating junk food or, a lot of junk food and processed food and too many animal products that have a lot of calories but not a lot of nutrient in them, and yes, even arugula has protein in them. I mean, think about where does a cow get its protein? If it's out on the range, it's eating the grass, and that's how it get its protein. So, we can eat these greens too, if we eat efficient quantities of them. So, now that I've got the arugula added in, we got to go ahead and turn this blender on. Alright, so we've got that blended up and it's actually a lot quicker than the juicing. So, actually let's get into the pros of the blending, and the pro is that it's much faster. It's also easier to clean because instead of a lot of parts, you just have 1 carafe to clean, maybe your cutting board and what not. So, another thing I like about the blending is that you're going to get the whole foods. You're going to get the fiber and all, and fiber is definitely is important in your diet. Another thing about the blending is that it may reduce the detox symptoms because now you're not just getting straight nutrition in the body, you're getting it mixed with some fiber and your body has to work to get those nutrients out so that fiber is going to slow down the release of things like sugars, if you're blending your fruits, and actually I recommend blending your fruits but juicing you're vegetables. Another things that is a pro of blending is that you're going to use less produce. So, let's go ahead and show you guys what this made. We got literally a blended green smoothie, and we're going to pour this off and this is a nice fairly thin mixture but it's a lot thicker because it contains all the fiber, and, you know, all the produce we used, which was 2 small cucumbers, 2 oranges, and some arugula, looks like we got it to about right 3 cups of blended smoothies there, and if we got over to the juice side and pour this guy out, it's a nice thinner consistency, more like a water and we check that out, and we don't account fo rthe foam on the inside, we actually got 2. 5 cups. So, we're losing a half cup, you know,because the half cup is right here inside the fiber. So, as you can see, you use less produce to get more. So, the fiber may be important to you to fill up. Now, another thing I want to mention quickly is that you can do a hybrid. So, you can juice you're vegetables, so you can make a vegetable juice, and put in the blender, maybe blend up some fruits with it to keep the fiber in the fruit. So, you could actually do a little bit of both, if you want. So, next let's get into the cons of blending. So, the cons of blending,number one, as you heard, it's loud. It can be loud. I mean, this blade is spinning at incredibly fast speeds, and that, you know, can wake up your sleeping family members if you're making your blended mixtures in the morning. Another thing about the blending is that because its running at 27000 RPM, 80 RPM, 27000's really really fast, and the faster it spins the faster the RPM, the more it's oxidizing your food. So, if you look really closely at this, I mean, this one's actually a lot more oxidized, but it also fluffs it up and adds air. So, the oxidation is basically like what happens when you scratch your car and it gets rusted. That's the nutrients degrading and, you know, lowering them, and besides lowering the food, it also adds air to this mixture. So, part of the reason why this is more is because it also has air in there, and when you're drinking more air,guess what? You're going to get more gas, belching, and potentially bloating as well. Another con of blending is that if you don't have a high-powered blender you have to add water, and as I mentioned before, that's diluting the mixture down. I mean, this is just 100% nutrition from foods, and in some blenders you may have to add a nice amount of water to make it more liquidy. So, that's the pros and cons of both blending and juicing. Now I'm going to get to try my delicious mixtures. I think I'll try the juice first. Wow, that actually tastes quite good. All you really taste is like the orange juice. So, you taste like a little bit watered down orange juice and you taste some greens in there, but definitely tastes really good. Now we're going to go for the smoothie. It's a lot thicker. More like a really thick soup. To me, you know, I like the juice better, but you may like the thicker mixture better than the thinner mixture. I like it thinner, it goes down easier,you could probably juice more of it and drink more of the juice before you got full whereas you couldn't drink as much smoothie. So, like I talked about in the pros and cons,if you don't have a lot of money, maybe you can't buy a lot of produce, then maybe the blending is better for you but if that's not a concern to you, then you're going to do what you need to do to get the nutrition in you. I get the juicer to take out all the fiber and of course eat a big salad at night. This is what I prefer and think is more beneficial for weight loss. As a matter of fact, here's a really good movie you should watch if you haven't' already. It's called Fat, Sick, and Nearly Dead. You go to hulu. com, h-u-l-u-. com and search for Fat, Sick, and Nearly Dead. You can watch this documentary film where a chap from Australia comes to the US and actually lives on juices and he was fat, sick,and nearly dead, and over them if just drinking fresh juices and nothing else, you know, he lost weight and got healthier. So, I'm confident that you guys can do it, too. Whether you want to juice or you want to blend, both are excellent. So, I have excess weight to lose,I would personally go with the juice and maybe get some blended smoothies in there. The main thing you want to remember is that you want to get away from the processed foods. Anyway, in my opinion, where you can include more fresh fruits and vegetables, whether it's juiced, blended, or eaten in your mouth and being chewed really well and turned into a mush, is being far better than eating any processed foods or animal foods out there,and that's my main message to you. So, if you're really into it, get a juicer, get a blender, so that you have the flexibility of doing both. Some days I feel like only juice, some day I feel like blended, some days I'm running late, out the door, and I got to use the blender because I don't have time to do the juicer, but whatever the way I'm doing it, I know I'm getting the best nutrition on earth by using these 2 appliances. I hope you guys enjoyed this episode learning about the differences between blending and juicing.